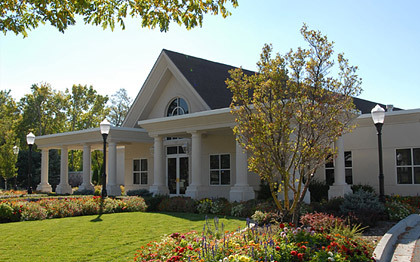 First established in 1966, the Lindquist Bountiful Mortuary is a tranquil, elegant facility built to serve the communities of southern Davis County. It was renovated back in 2003, updated with your comfort and convenience in mind. The mortuary has a spacious parking lot for over 100 cars, with a chapel that can seat up to 250 people. Our visitation rooms are warm and inviting, with full accessibility for people with disabilities. We also have a private clergy room available. Our funeral service in Bountiful offers patrons a number of options that protect the wishes of the family. We understand the need to provide the dearly departed with dignified and respectful treatment that is in line with your personal beliefs, customs, and religion. We offer traditional burials as well as cremations. For those who choose cremation, you may keep the remains of your loved one or have a burial for the urn. We also provide ash scattering ceremonies for those who request it. Our uniquely qualified and highly experienced funeral directors are always prepared to explain our services in full. Let Lindquist Mortuaries and Cemeteries handle all the details for you. We are dedicated to serving your family in this time of grief. | 727 N. 400 E.